Is the Lexus LFA Really a Sales Failure? Every once and a while, I’ll read a review or article about Lexus and notice an inaccuracy — usually a minor technical point or some obscure historical fact. Mistakes happen, no problem. What’s unusual is to see an article built on nothing but mistakes, where even elementary facts are ignored — but that’s what I found with Nelson Ireson’s Motor Authority editorial on how the Lexus LFA is a failure. Normally, I just ignore these types of articles — but then the only time I’d see something like this would be on a forum post, not on what’s supposed to be a reputable news site. To start with, Ireson’s argument is that because LFA production is down from 20 units a month to 15 a month, Lexus is struggling to get buyers interested. Hidden in the mistake is a good question — why did Lexus claim all the LFAs were spoken for when in fact there’s still units available? If I had to guess, I would say this has less to do with demand more to do with location. 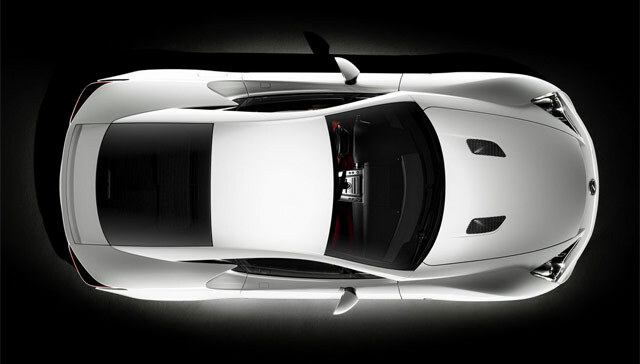 Rather than selling the LFA first-come first-serve, Lexus allotted a specific number of LFAs to their worldwide regions. For instance, Canada has 10, Australia gets 9, and Japan kept 165. Lexus’ biggest market, the USA, has an allotment of 173 — of which it’s said only 20 remain (as of January 2011). In all my daily Lexus research, I’ve seen another other region mention any excess surplus — in fact, it’s likely most regions would welcome additional inventory. This doesn’t strike me as a lack of interest, but rather a decision by Lexus to stick to their allotments. Lexus, on the other hand, was introduced in America–a decidedly gauche nation, to many outside eyes–as an affordable luxury brand that nonetheless delivered the amenities of the good life. Can that same brand pull off a halo supercar so far removed from its brethren? Though unsubstantiated by data, that is a popular sentiment among the media and supercar owners alike. What type of statistics will prove that the LFA has changed the opinion of Lexus? This is a difficult question, and it’s going to require more than just an opinion “unsubstantiated by data” to truly answer. Asking a few buddies what they think of the LFA is hardly research. But it took Lexus 10 full years to reach this point, and a budget that would likely amount to the full purchase price of the entire organizations of either Ferrari or Lamborghini. And for all its aspects of technical advancement, it lags noticeably in others…on measures of power, torque, top speed, and acceleration, it’s a full generation behind the top tier of supercars. The first point is such a head-scratcher — a car company spending an untold fortune developing a supercar from scratch is somehow a bad thing? Isn’t this exactly the type of thing automotive enthusiasts want to see? The thought that the LFA is “a full generation behind the top tier of supercars” because it lacks a dual-clutch transmission and sets no new performance benchmarks is nothing but a numbers game, and illustrates a lack of perspective. In my mind, what the the LFA was meant to do, even beyond its technology and performance, was bring a new level of emotion to Lexus (& Toyota). I’ve been lucky enough to drive the LFA on two occasions, and the workmanship, mindfulness and expertise that has gone into building this supercar is something the entire company (& Lexus enthusiasts) can feel proud of. There’s so much more to this car than its 0-60 time. It’s possible to look at the LFA as the final product, as though it was the end of a long road, but in reality it’s the beginning of a new direction. Lexus may have taken 10 years to get to this point, but it’s the first step that’s usually the toughest.